Salivary gland tumours are uncommon, making up around 6% of head and neck tumours. They have a wide range of presentations and can be either benign or malignant. The malignant form will often affect the older patient, whilst benign salivary gland tumours have a peak onset at 40 years of age. The proportion of benign and malignant tumours between the parotid, submandibular, and sublingual glands is shown in Table 1. The main benign tumour types are Pleomorphic adenoma and Warthin’s tumour. Pleomorphic adenomas can undergo malignant change, termed carcinoma ex-pleomorphic adenoma. They are aggressive and are associated with a poor prognosis. This occurs in around 2-4% of salivary gland malignancies and should be suspected in cases of sudden rapid growth of a previously stable mass is. Local metastasis usually to cervical lymph nodes, the highest rate occurring with the mucoepidermoid carcinoma. Distant metastases are most commonly associated with adenoid cystic carcinoma, with the common sites of spread to lung and bone, and as with most malignancies they carry a poor prognosis. Adenoid cystic carcinoma can also recur many years after treatment. Individuals will most often present with a slowly enlarging mass, typically painless, in the location of the salivary glands. 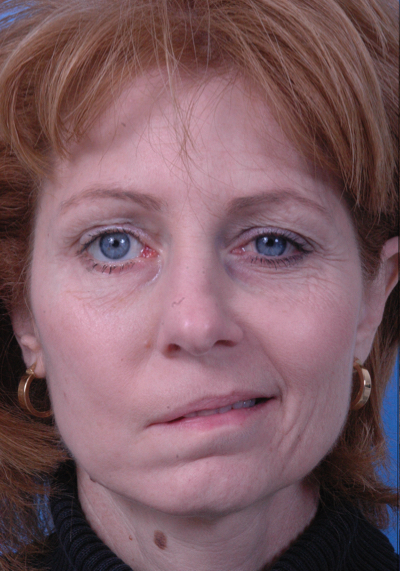 In malignant lesions, other symptoms can include facial nerve palsy* and overlying erythema or ulceration. Pain can rarely occur, most often due to suppuration or haemorrhage into the mass or infiltration of malignancy into surrounding tissue. Larger salivary malignancies may result in eventual airway obstruction, dysphagia, or hoarseness, whilst salivary tumours protruding into the nasal cavity and paranasal sinuses can present with nasal obstruction or sinusitis. On examination, it is important to assess the lump for tenderness, mobility, and any evidence of cervical lymphadenopathy. Examine the oral mucosa (salivary malignancies can invade into the oral mucosa) and remember to assess for any facial nerve palsy. Individuals presenting with a salivary mass should be investigated for sialoliathiasis, chronic sialedenitis, autoimmune disease, and lymphoproliferative disorders. In cases where the diagnosis is uncertain, HIV should be considered as well. Routine bloods (FBC, U&Es, and CRP) should be performed, to check for evidence that may indicate an infectious cause. 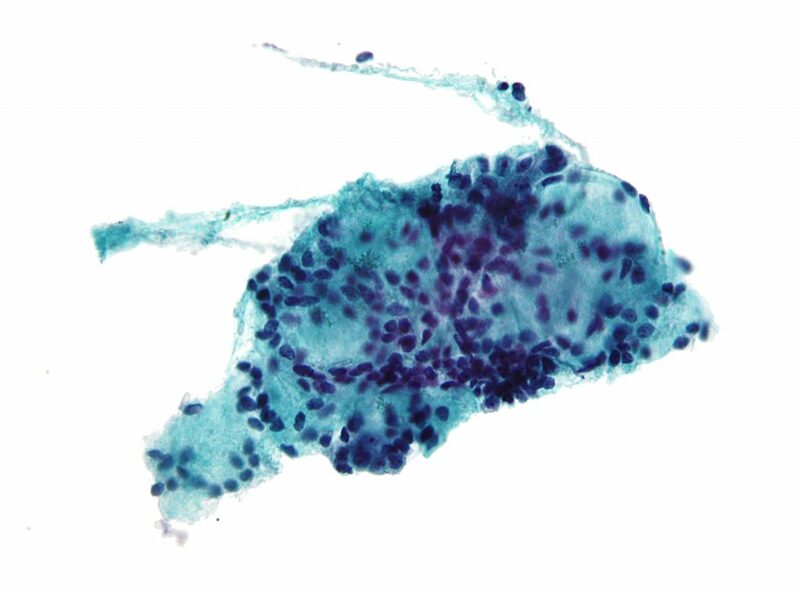 Suspicious lesions should undergo an ultrasound scan (US) with fine needle aspiration cytology (FNA). US will delineate the location, margins, and vascularity of the tumour and FNA will confirm the tumour type. If malignancy is confirmed, a staging CT scan of neck and thorax is warranted to determine extent of the disease. All cases of salivary gland tumours should be discussed with the appropriate multidisciplinary team (MDT), which should be done only at specialist centres. Excision is the mainstay of most salivary gland tumours, with malignant tumours warranting more radical procedures*. Where cervical lymphadenopathy is found, selective neck dissection will be performed for lymph node clearance. *In the case of parotid malignancies with facial nerve involvement, this often requires sacrifice of the facial nerve. A cable graft may then be performed using the great auricular nerve. Radiotherapy has been used as adjuvant treatment following surgery (usually for higher-grade tumours) or alone for non-resectable tumours; a systematic review showing increased overall survival with adjuvant radiotherapy for advanced high grade adenocarcinoma of the parotid gland. There is a role for radiotherapy in patients with malignant tumours where the resection margin is positive or there are histological features of an aggressive tumour. This is usually decided in a MDT setting. Radiotherapy could also be used in patients with recurrent pleomorphic salivary adenoma. Chemotherapy is not used as neo-adjuvant therapy as salivary gland tumours have a poor response, hence it is only reserved with palliative treatment. Haematoma is an important post-operative complication. A rapidly expanding haematoma may cause airway obstruction, hence close observation of these patients post-operatively is paramount. Facial nerve injury or sacrifice intra-operatively must be included in any consent for the resection procedures*. Transient facial nerve paresis resolves in 3-12 weeks. It is now common practice to use facial nerve monitoring during parotid surgery. During submandibular gland surgery, the marginal mandibular, hypoglossal and lingual nerve may also be injured. Frey’s syndrome can develop following a parotidectomy, whereby the autonomic fibres supplying the gland reform inappropriately; the stimulus to salivate results in an inappropriate response of redness and sweating. Salivary fistula is also a recognised complication. Prognosis for salivary gland tumours is depended on the pathology. Benign tumours have excellent outcome although pleomorphic salivary adenomas could recur especially if there is any tumour spillage during surgery. Which of the following is not a malignant subtype of salivary gland tumour? What percentage of pleomorphic adenomas undergo malignant change? Which subtype of malignant salivary gland tumour has the greatest tendency to cause perineural invasion?